Did you hear? Its National Donut Day! Seeing as I'd never miss any opportunity to make donuts, I had to join in on the fun! 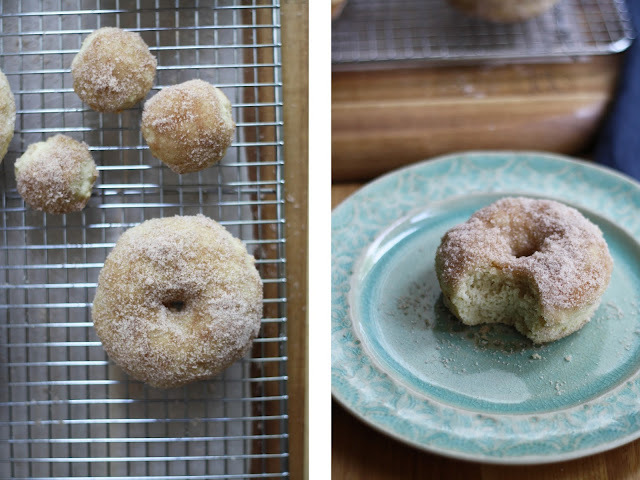 We are big fans of sweets in our house, especially when covered with cinnamon and sugar. 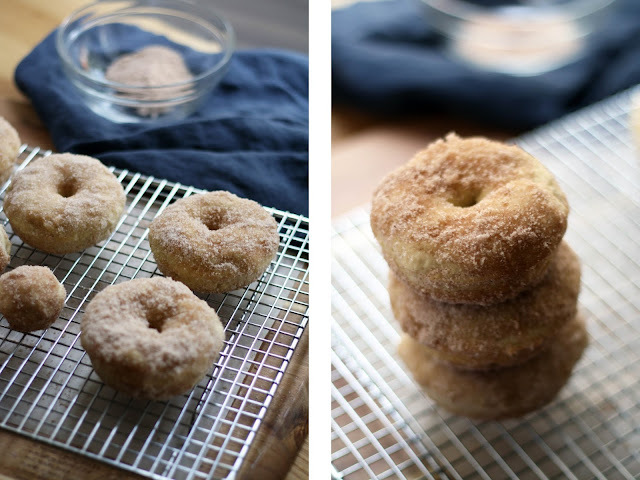 I haven't yet mustered up the courage to try making cinnamon buns, so these donuts seems like the perfect compromise. 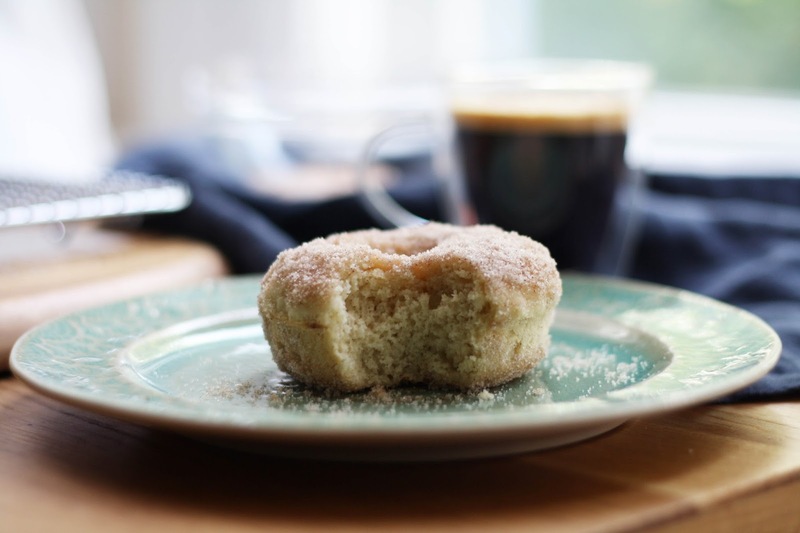 Perfectly fluffy dough speckled with nutmeg, then doused in a hearty serving of cinnamon sugar. These are by no means gluten-free, or refined sugar-free, but they are damn good. Trust. Preheat oven to 350. 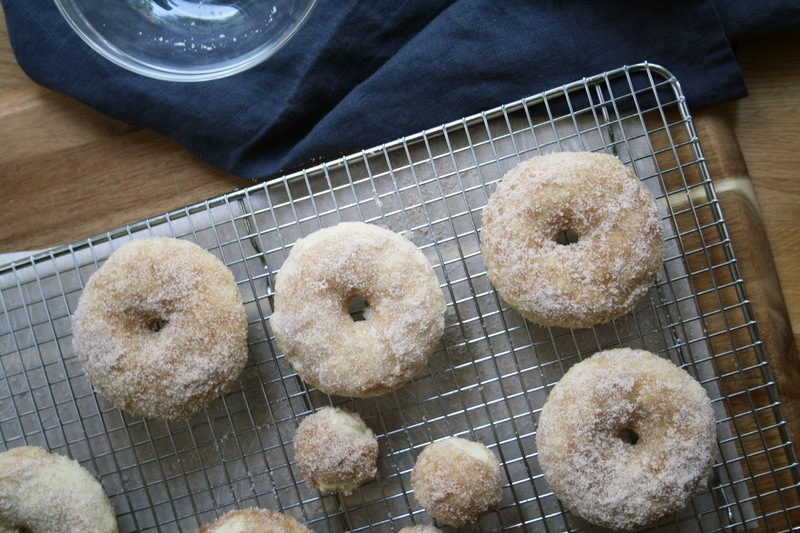 Butter a donut pan. In a medium size bowl, stir together the dry ingredients. Set aside. In a glass measuring cup (or bowl), whisk the milk, egg and vanilla. Set aside. In the bowl of a stand-mixer fitted with the paddle, cream together the butter and sugar. Slowly add the wet and dry mixtures, alternating half dry, half wet, half dry, half wet. Continue to mix until no visible flour remains. Transfer the mixture to the pan, filling the moulds almost to the top. 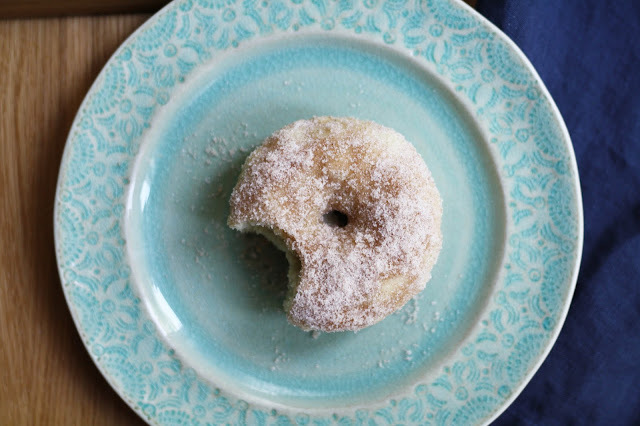 Once all the moulds are full, lightly wet your index finger and smooth out the tops of the donuts. Bake for 10-12 minutes, until a toothpick comes out clean. Let cool for 2 minutes in the pan and then transfer to a wire rack. Melt the butter. Whisk together the white sugar and cinnamon in a bowl large enough to fit a donut. Once cool enough to handle, dip each donut in the melted butter, then dunk and coat in the cinnamon sugar. Will keep for a few days -- if they last that long without being eaten!